Posted on December 10, 2017 November 10, 2017 by Nessa! Every child’s dream is to go to Disneyland and have the adventure of a lifetime. Imagine going to a theme park as vibrant, colorful and exciting as Disney. It probably is the definition of heaven in the eyes of a child. But nobody can blame them. Even adults also get starstruck once they step inside Disneyland. The memories you have of this place will stay in your mind throughout your lifetime. While there is no need to stay specifically at the hotels on the property (others are available), it can make things easier. 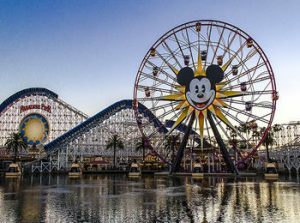 Despite the years it has logged, Disneyland remains to be the ultimate theme park destination for people of all ages and walks of life. Over the years, they have opened up in different key cities all over the world and added attractions in line with new movie releases.